Eco Interiors, design, supply and fit high quality German built kitchens to the Irish market. With a vast range of different styles and colours in their range, from clean line contemporary look to the more traditional country style kitchen, they have a collection to suit your style. 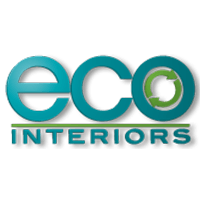 With many years experience in the industry, Eco Interiors know that working closely with clients on the design of their new kitchen is essential to achieving the best possible solution,. They create a 3D computer presentation of their kitchens to help clients visualise the finished room. If you are planning a new kitchen and would like to talk to a representative, call the team in-store or drop by the showroom. The kitchens Eco Interiors supply are environmentally friendly, and are certified in accordance with the PEFC. Purchase a PEFC certified kitchen and demonstrate your responsibility for our environment.